Middle Smithfield Township, in cooperation with Pennsylvania Department of Transportation, will be enhancing the traffic signals with preemption features at the intersections of Foxmoor Drive and Municipal Drive, and Meadow Lake Plaza and Route 209, respectively. In an emergency, both fire and ambulance response is critical. 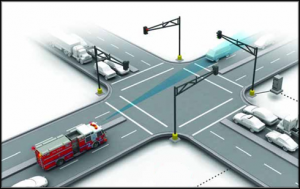 The preemption features in these traffic lights will allow emergency responders to use the lights temporarily to direct a path of travel. 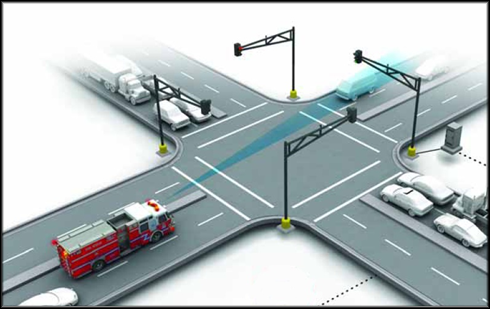 This creates a more flexible and responsive system for faster and more reliable emergency response. Motorists should always cede to all emergency vehicles, and if there is a power outage, all vehicles are required to stop at a signal and proceed when safe.